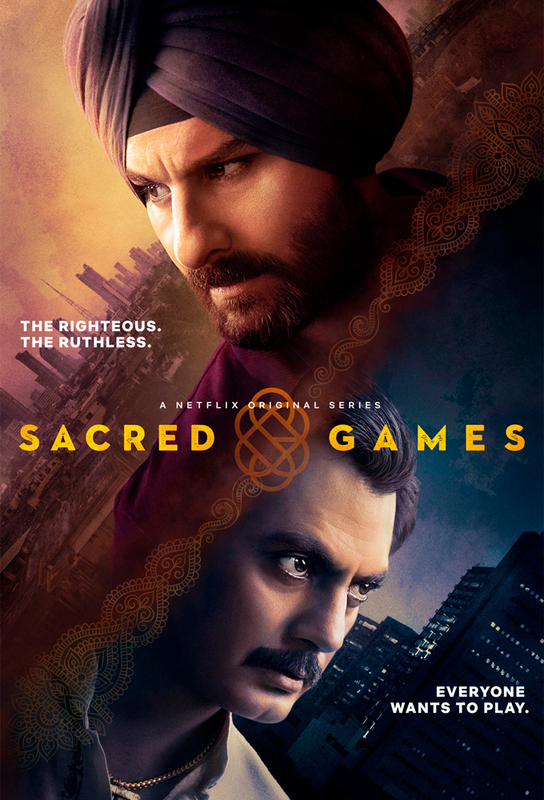 A mysterious phone call from an anonymous man leads police officer Sartaj Singh on a chase around Mumbai in a dangerous cat-and-mouse game. News of Ganesh Gaitonde creates a stir among Mumbais VIPs, from politicians to film stars. Removed from the case, Sartaj begins his own investigation. The woman found in the bunker leads Sartaj to Gaitondes thug, Bunty. In a flashback, Gaitonde recalls stealing a lucky charm from rival Suleiman Isa. TV starlet Nayanika visits Bunty with a hidden camera. In the mid-80s, Gaitonde discovers a racket even more lucrative than drugs and guns: politics. To save Nayanika, Sartaj intervenes during a RAW operation. In 1992, as political unrest increases, so does the bloodshed from Gaitonde and Isas feud. When Sartajs constable, Katekar, is pressured to investigate the disappearance of a young man from a Muslim slum, disastrous consequences follow. Hoping to tie up the many loose ends of their case, Sartaj and Anjali reunite to figure out how the enigmatic Trivedi is linked to Gaitondes prophecy. To save Mumbai from impending doom, Sartaj races against time to find out who Gaitondes third father is and whats planned to happen on the 25th day.